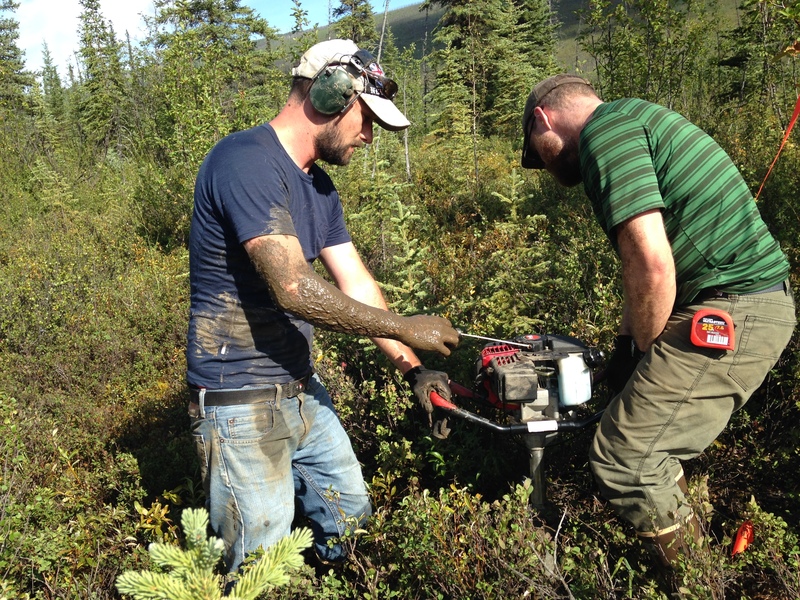 Postdoc Eric Bottos, left, and then-post-master’s soil scientist Alex Crump, right, extract a permafrost core near Fairbanks, Alaska in August 2015. Courtesy of Eric Bottos. This is the first in a series of occasional features profiling postdocs in the Biological Sciences Directorate at Pacific Northwest National Laboratory. In pursuit of his work, soil scientist Eric M. Bottos has traveled more than a little. He took a bachelor's degree in microbiology in his native British Columbia, then moved to McGill University in Montreal for his master's, where his research took him to the Canadian Arctic. Then came a series of opportunities to study in Antarctica. He has been there four times now, in stints of one to four months. Most of those trips to the Southern Ocean continent were as a Ph.D. student at the University of Waikato in New Zealand. "It was a never a big plan," said Bottos of his peripatetic course of studies, upward through academe. "It just happened." As a postdoc at PNNL, there was more travel. Bottos just moved back to British Columbia for an academic postdoc at his alma mater, Thompson Rivers University. But since February of 2015 he had been part of a PNNL team led by ecologist James Stegen. 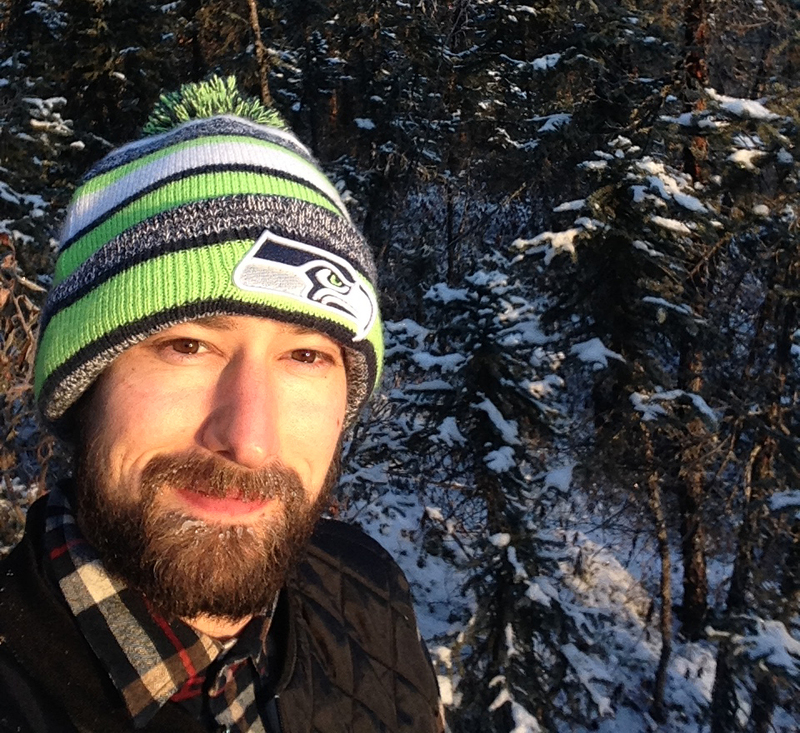 For almost three years they have been investigating microbial community composition in permafrost soils across an Alaskan boreal forest landscape. Such studies on a landscape scale are rare, said Bottos. Their field site is the boreal forest ecosystem of the Caribou Poker Creek Research Watershed near Fairbanks, Alaska. It's a long term ecological research site that is representative of the discontinuous permafrost regions of that state's largely wild interior. The team's focus - a soil type that has been frozen for two or more years - is globally consequential. Out in Alaskan permafrost terrain, Bottos – a cold-weather research veteran – is bundled up. Courtesy of Eric Bottos. Permafrost, which can in fact be frozen in place for hundreds or thousands of years, accounts for about 16 percent of Earth's soil environment. It also represents an important microbial ecosystem, and sequesters a globally significant pool of carbon that in the right conditions could be mobilized into the atmosphere. "With warming, permafrost will thaw and the greenhouse gases produced - mainly carbon dioxide and methane - will be released," Bottos said. "The way the microbial community responds will have important consequences." The Alaskan field work occasioned another episode of professional travel for Bottos. He represented the Stegen team and its latest research at the September 8-12 Polar and Alpine Microbiology (PAM) conference in Nuuk, the capital of ice-covered Greenland. His talk's main messages were that permafrost microbial communities are highly diverse in composition; are highly variable over very short distances; and that their pre-thaw permafrost conditions are critical to represent in models. Depending on soil moisture, temperature, microbial taxa and other factors, permafrost may release carbon dioxide and methane at various rates. Studying permafrost microbiology - one of the themes of this year's biannual PAM conference - plays into biology's longtime interest in extremophiles. But more pointedly, such study will improve the predictability of how microbes react to warming and other perturbations. "That's the biggest gain for the scientific community," said Bottos. His 15-minute talk on the conference's first day was well received. For one, it drew a lot of interest in the null modeling and spatial observation systems pioneered by Stegen and used to infer the ecological processes that shape microbial distributions in permafrost. This latest PNNL research, summarized in the PAM talk and represented in a paper finished in September, is the first to describe the factors and processes that influence permafrost microbial community composition across landscape gradients. The PNNL researchers deployed four 104-meter transects along a hydrological gradient in the boreal forest ecosystem near Fairbanks. They extracted samples every few meters, which were transported back to PNNL frozen, homogenized in a laboratory, and then analyzed for organic matter composition, microbial taxa, and other factors. Such spatially explicit studies are needed to inform models designed to predict how microbial communities respond to permafrost thaw, they say, and to estimate the fate of carbon in these vulnerable environments. A colorful patch of houses on Greenland's rugged southwestern coast, tiny Nuuk is home to barely 17,000 people, set within what Bottos called a striking landscape of jagged coastal rocks and snowcapped mountains. Touring was not the main order of business for Bottos, who listened to four days of presentations on issues related to the Earth's warming cryosphere. But he was outside long enough to get a sense that Nuuk resembled a fishing village in Eastern Canada and to see Greenlanders set up along the main streets to sell meat from fresh game. The ambient air provided the refrigeration. Greenland in September hovers around zero degrees Celsius, and it only snowed once while he was there, Bottos said. But it was still an aptly chilly venue for a conference that convened about a hundred of the world's polar and alpine researchers. Most were from the UK and continental Europe. Others traveled from the United States, Canada, South Africa, and New Zealand. All of them shared the pleasure, necessity, and challenge of travel to far places in the interest of science. It's important, said Bottos, "to be out in the system you're studying and trying to understand." At Thompson Rivers University, he will teach, mentor new students, and help study microbial responses to the remediation of tailings from local gold and copper mines. Bottos is also still part of several papers coming out of Stegen's permafrost project. That means there will be some travel back to PNNL from British Columbia. "I'll be rolling through," he said.